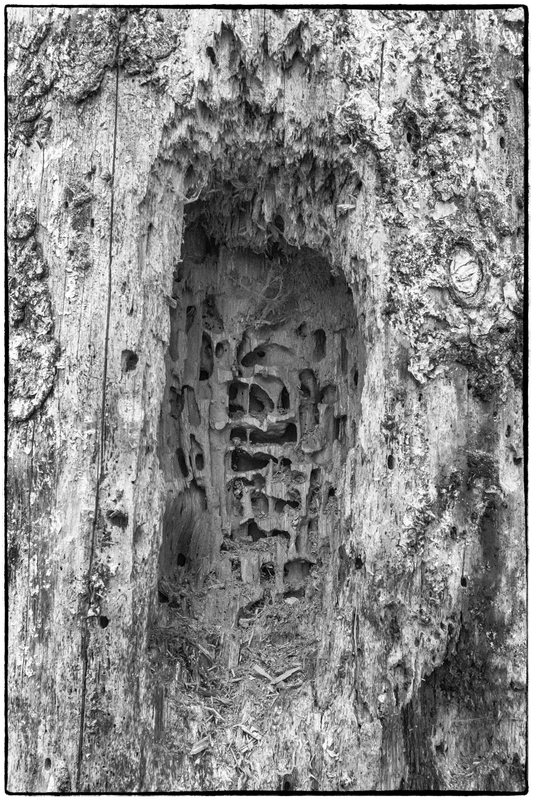 At least I’m assuming that it’s woodpeckers because I can’t imagine what else could create such interesting patterns. I suppose it could be some kind of bug. This entry was posted in Abstracts, Black & White, Wildlife & Animals. Bookmark the permalink.